The International Interior Design Association recently announced the winners of its annual student design awards. On the association’s list of big winners are interior design students from the San Jose’ State University School of Art & Design with 3d designs that garnered a slew of awards. 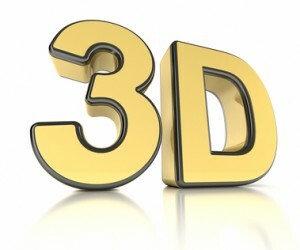 (PRWeb) When words fall short, interior designers turn to 3D visualization. It’s a keen bit of advice and something that the faculty at San José State University School of Art & Design makes sure every student knows before they graduate. Recently this strategy of imparting insight and teaching students 3D tools resulted in a near sweep of the International Interior Design Association of Northern California’s (IIDA) Student Design Awards. It appears all that time learning Luxology®’s modo®, the school’s 3D package of choice, paid off. What began as a research project designed to teach students about a specific architect quickly blossomed into full-fledged exploration of the modeling, sculpting and rendering techniques the students had been gaining from continuous modo use. One project (a second place finisher) played with the ideas of vegetarianism and photosynthesis in order to produce a restaurant design that mimicked the internal structure of a vegetable. As an avid sculptor, student artist Chase Lunt found that modo’s sculpting features gave him the 3D equivalent of what he had become used to fashioning with his hands.